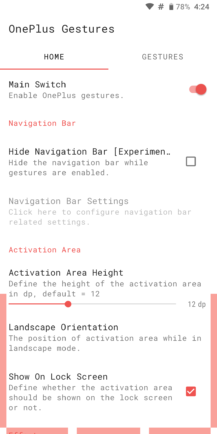 The developer for One + Gestures has renamed the app to Vivid Navigation Gestures, taking my advice into consideration. It's still the same app, just with a new name. 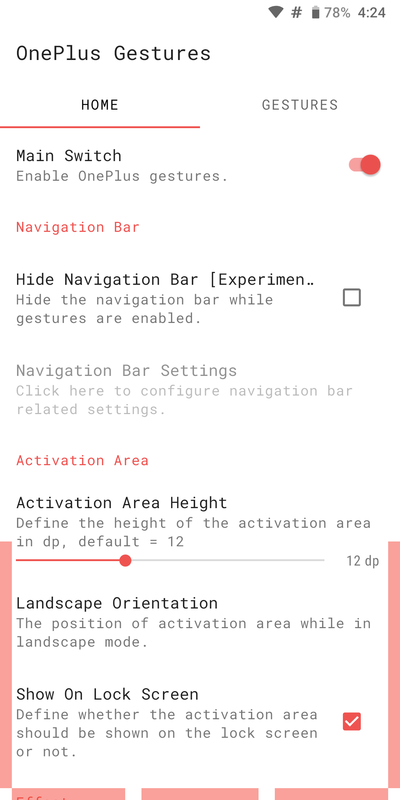 Like it or not, gesture-based navigation is looking like it'll be the next way we get around our smartphones. 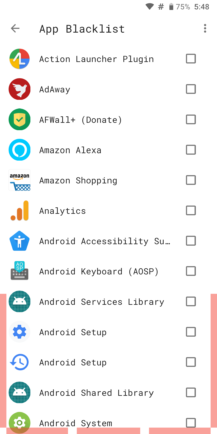 We've seen several implementations at this point, with some clearly better than others, but all of the Android versions have thus far felt limited. So leave it to the development community to come up with something better. One + Gestures is one such effort. 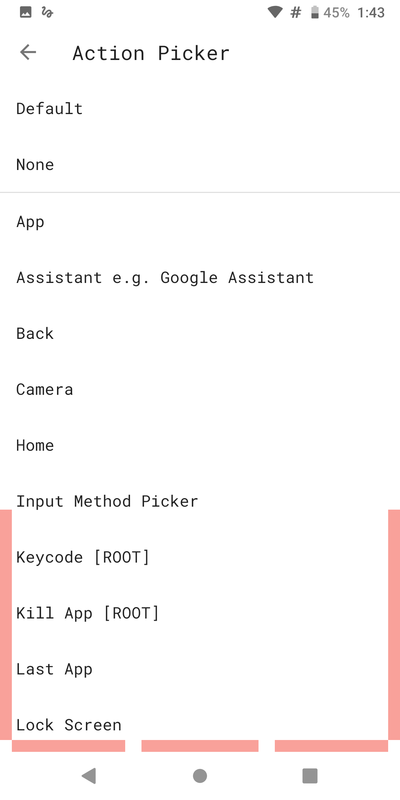 Despite the name, it's not limited to OnePlus phones — in fact, you can use it on any Android device. If you're a loyal AP reader, then this app might ring a bell. But it received a big 2.0 update late last week, so I decided to take a look at it again and see what's up. 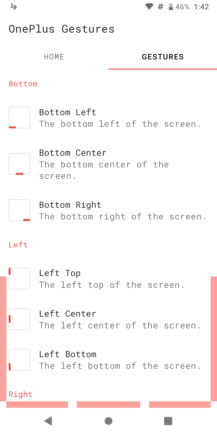 I'll say this, it made me like using gesture nav on the devices I tested it on, something that definitely surprised me. 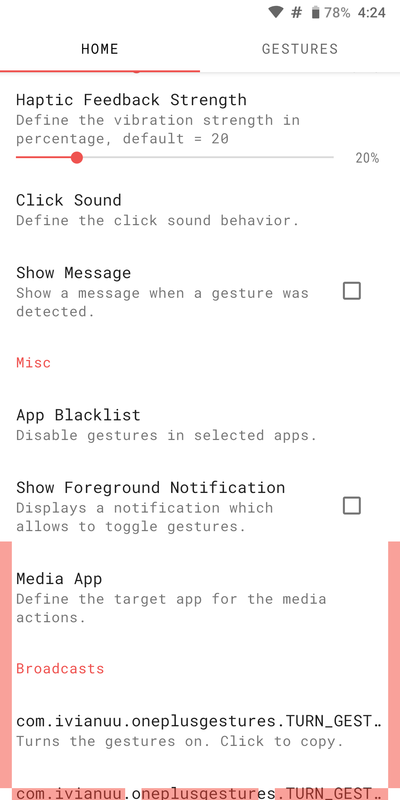 The 2.0 update, among other nifty things, has three major additions: the ability to define gestures on the left/right sides of the screen, new gesture types for more customization, and an app blacklist. In using this app, I found it shored up a lot of the weaknesses in other implementations, thanks to its extensive array of choices for each area, including an option for an Assistant gesture. 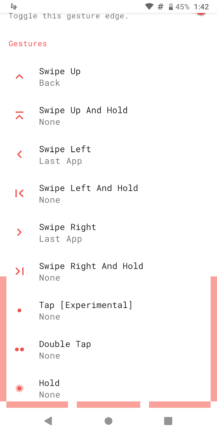 Diving into One + Gestures, the UI has a lot going on, to a somewhat overwhelming degree. 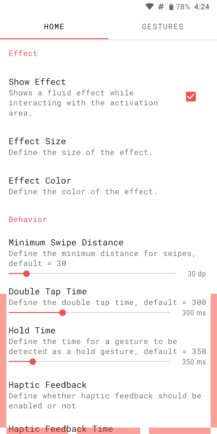 In the Home tab, you can define how the app works, including activation area height, the visual effect, behavior controls, and the app blacklist. 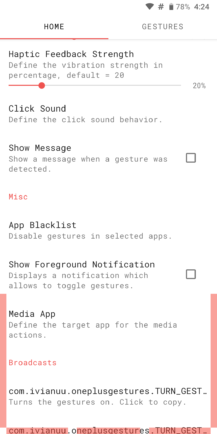 Just this section alone has a lot to get through, so I recommend taking the time to check out each option to tweak Gestures to your liking. 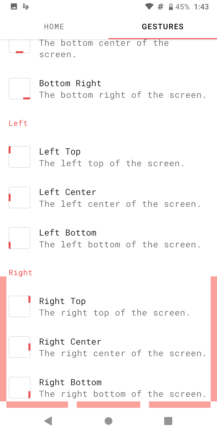 The next tab, Gestures, is where you get down to setting what does what and where. 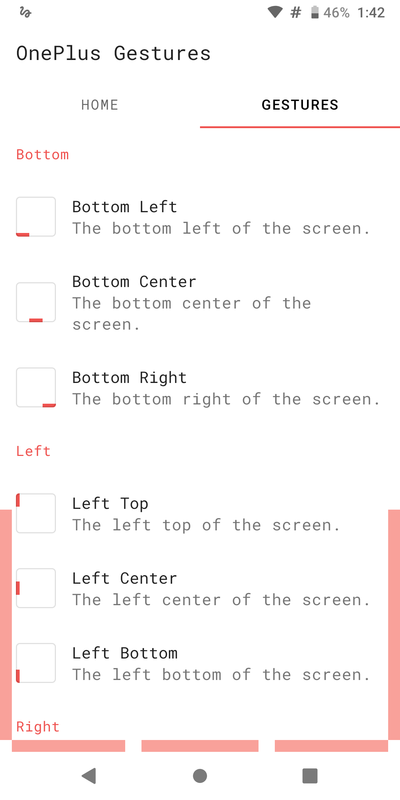 By default, there are five active areas, three along the bottom and one on the lower chunk of each side of the screen. You get to decide what's active and what isn't. 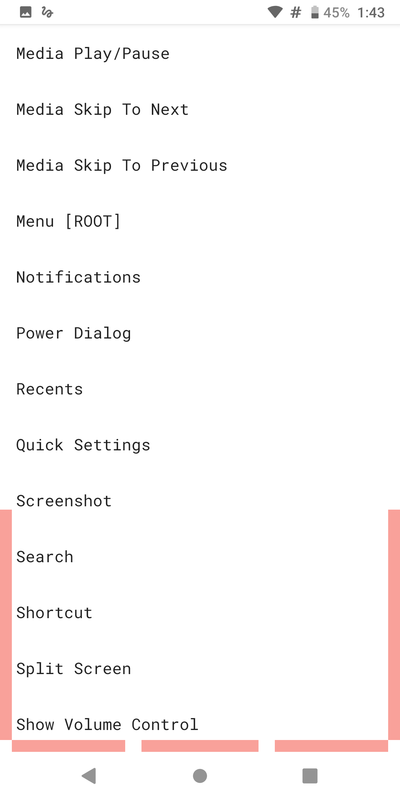 Things get wild again once you tap the area you want to adjust, since you're greeted with a long list of possible gestures (including some root-only options) to use and what they're tied to. 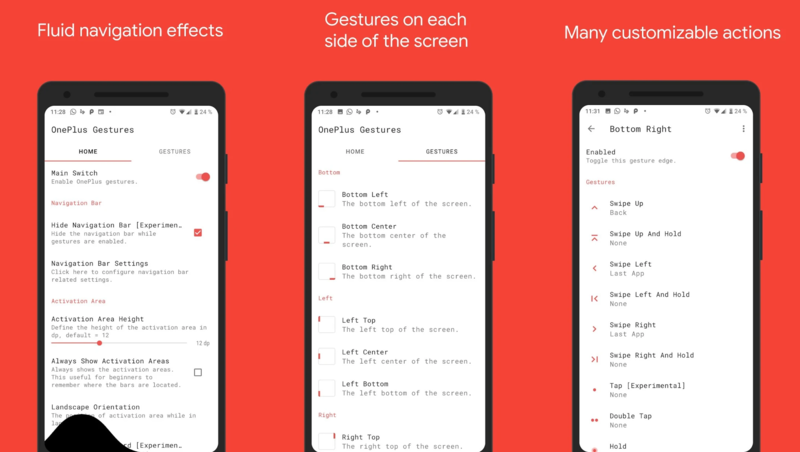 One + Gestures represents the best of what Android has to offer users in terms of customizability. 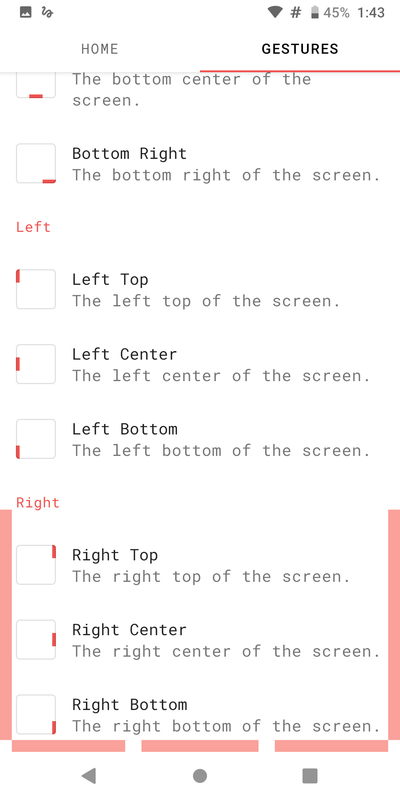 I had a blast messing with it and I'm even using it as the only navigation option one of the devices I tested it on. For your reference, I tried OnePlus Gestures on a OnePlus 5T running stock OxygenOS (Open Beta), an Honor View10 on LineageOS 16 (with navbar hidden in the system settings), and a Nextbit Robin also on LineageOS 16 (where I had the app hide the navbar). The experience was extremely smooth on all three. 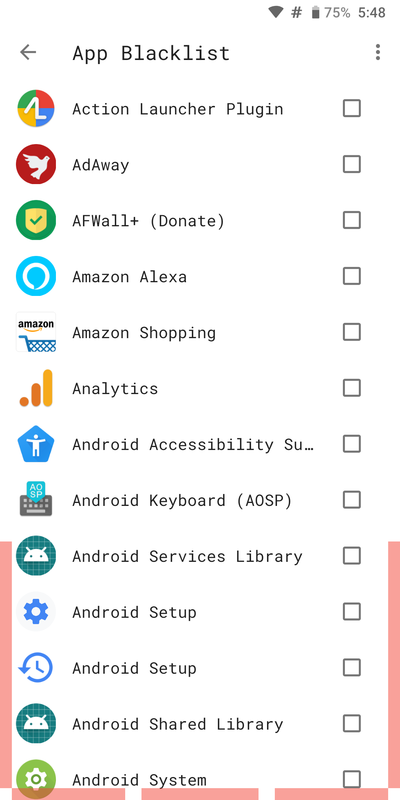 In the future, I'd recommend that the developer considering changing the name, since it currently implies that it's limited to OnePlus phones only and therefore limits its reach to possible users (note: see update below). 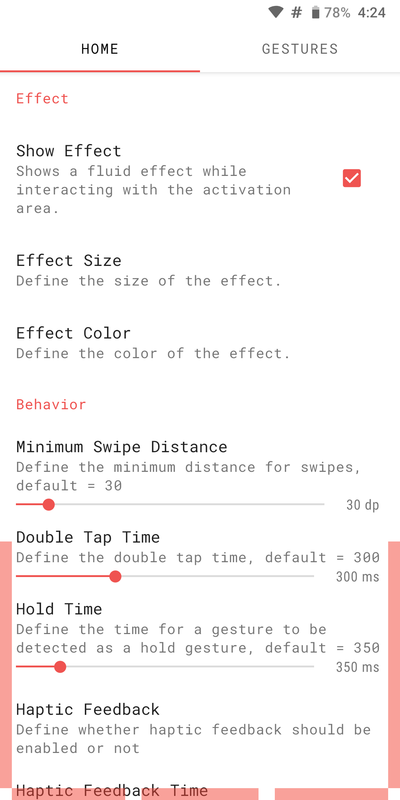 Otherwise, if you're into the whole gesture nav thing, this is an app that I recommend you try. You'll find it on sale for a bit longer at $0.99, but its regular $1.49 is definitely not bad.